Why Tuberculosis was Called "Consumption"
Originally, of course, nobody knew what caused the various forms of tuberculosis, and they certainly didn’t understand it was caused by what would eventually be called tubercle bacillus (usually the offending microbes are specifically Mycobacterium tuberculosis). The word “tuberculosis” was coined by Johann Lukas Schönle in 1839, from the Latin “tuberculum,” meaning “small, swelling bump or pimple.” However, it wouldn’t be until 1882 when Dr. Robert Koch discovered the tubercle bacillus, for which he won a Nobel Prize in 1905, that the name “tuberculosis” began being exclusively used to refer to the disease formerly popularly known as consumption. The microbes that cause the disease have been around for at least 15,000-20,000 years with known human deaths being caused by the bacteria dating back at least as far as 5,000 years ago, so the current name is an extremely recent moniker relative to how long the disease has been around. The much older name originally came from the ancient Greeks who called the disease something meaning “consumption,” “phthisis,” specifically referring to pulmonary tuberculosis, with the earliest references to this being in 460 BC. The “father of Western medicine,” Hippocrates, estimated that phthisis was the most widespread disease of his age. He further told his students that they shouldn’t attempt to treat patients in the last stages of phthisis, as they were sure to die and it would ruin his protégés’ reputation as healers if they made a practice of attempting to heal such individuals. Tuberculosis wasn’t just found across the pond either, but it is known to have been present in the Americas as early as 100 AD. So why was “phthisis” aka “consumption” chosen for the name? It was because the disease seemed to consume the individual, with their weight drastically dropping as the disease progressed. The seaweed extract “agar,” which is commonly used as a thickening agent in such products as ice-cream, was also used by Dr. Robert Koch to develop the first laboratory culture of tuberculosis bacillus in petri dishes. While many today in developed countries consider tuberculosis to be a thing of the past, this isn’t the case at all. 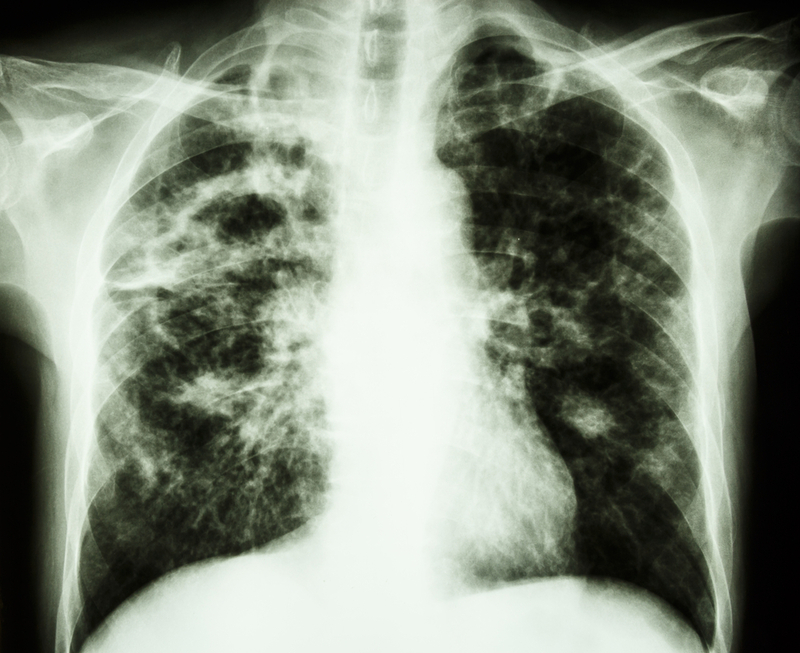 There are over eight million new cases of people contracting TB every year in the world, with about two million people per year dying from the disease. Heroin was originally marketed by the drug company Bayer as a safe, non-addicting treatment for tuberculosis, among other things. Eric Arthur Blair, aka George Orwell, wrote part of the novel 1984 while sick with tuberculosis. The book was published in 1949 at which point his health continued to deteriorate until he finally died on January 21, 1950.